In dealing with intervals larger than a perfect fifth, you might want to change your strategy in counting them. Read my intervals printout pages 6-7, on using interval inversions to reckon and doublecheck big intervals. The first half of this worksheet will give you written practice. 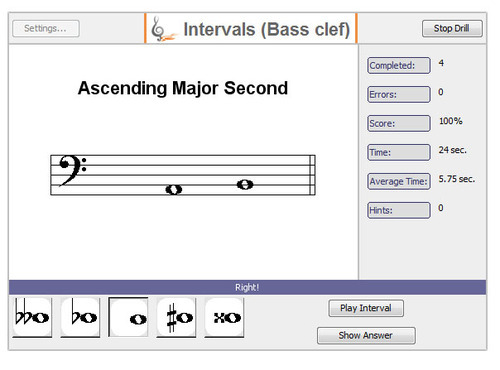 You could tweak the settings on Robert Whelan's intervals quizzer (treble clef bass clef) to give you sixths and sevenths. My rudiments quizzer has a unit for what I call "large" intervals.